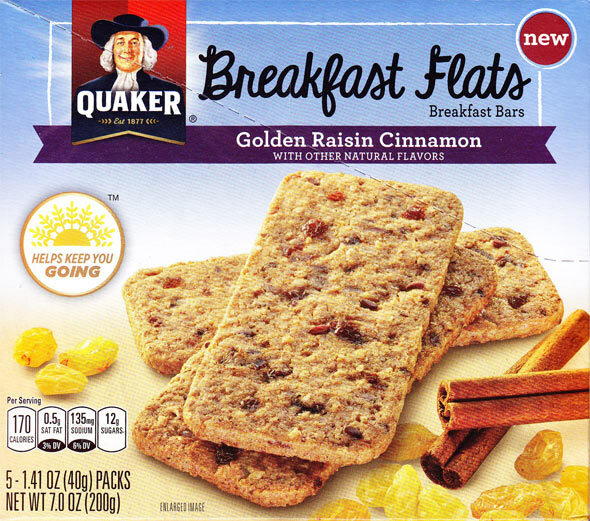 I tried two varieties of Quaker Breakfast Flats: Golden Raisin Cinnamon and Cranberry Almond. Each breakfast bar is about 4 x 2-inches and about 1/8-inch thick. Each serving packet consists of three bars. Both varieties provide 18 grams of whole grains per serving. They are crunchier than similar products like Nature Valley or BelVita Breakfast Biscuits. They have a snap to them - which is my favorite aspect of these new Breakfast Flats. 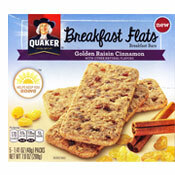 The Golden Raisin Cinnamon Breakfast Flats feature golden raisins, cinnamon, whole grain oats, quinoa and flax seeds. Raisin is the most prominent flavor. Cinnamon is pleasantly noticeable. The bar is quite sweet - each serving has 12 grams of sugar. My only complaint might be that you get occasional inconsistent chewy spots from the raisins when you take big bites - but that's a very minor beef. Overall, I enjoyed this variety. It is definitely the better of the two. 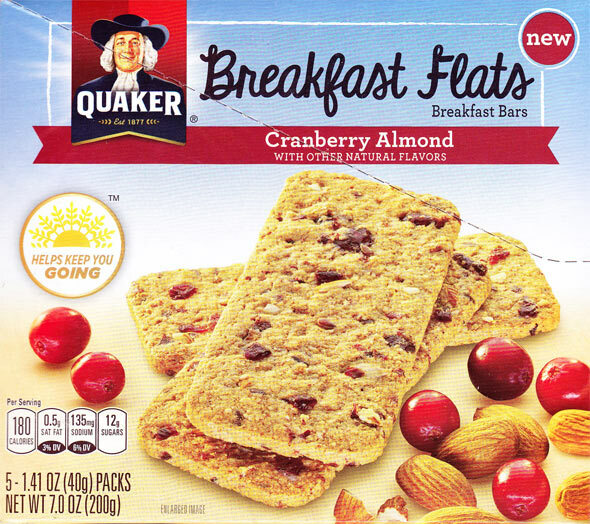 The Cranberry Almond Breakfast Flats feature cranberries, almonds, whole grain oats, flax seeds and sunflower seeds. Sadly, this variety is not good. The first taste is somewhat musty and off-putting. So are the second and third bites... so on and so forth. While cranberry and almond is noticeable and nice... you can't escape a recurring flavor that is somewhat similar to the smell of freshly cut wood. 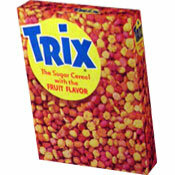 By the time I ate the third bar in the packet, I had gotten used to that weird flavor. But I suspect that would happen if I ate freshly cut wood chips with cranberries and almonds. I recommend that you avoid this variety. I give the Golden Raisin Cinnamon variety a score of 5 out of 7. The Cranberry Almond gets 2 out of 7. Similar products from other companies tend to be much better than these Breakfast Flats. What do you think of Breakfast Flats? The BEST I have ever tried as far as Breakfast bars! My favorite is Cranberry Almond, but believe me, they are all so good! THANKS! I love these bars! They are so flavorful and crunchy. They're really good with a hot drink in the morning. The Belvita breakfast flats are so delicious, and I thought that these would be quite similar; they are not. I did not enjoy the cranberry flavor. I haven't tasted any other flavor. I did not like these at all. I had the raisin variety. My kids who normally like everything in bar form even turned their nose up at them.